Prenatal evaluation of the fetus goes back at least 30 years. The first report of fetal urologic anomaly diagnosed by ultrasound was published by Garrett et al. in 1970 (1). 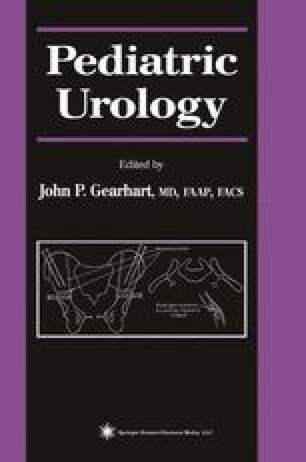 The overall incidence of detectable fetal anomalies is approx 1%; the incidence of urologic anomalies detected in utero is 1 in 500, and 50% of these are some form of urinary tract dilatation (2). Because the use of prenatal ultrasound screening has increased, the number of fetuses with known or suspected urinary tract abnormalities has also increased markedly during the last 20 years. With the increasing number of fetuses being diagnosed with abnormalities of the urinary tract, management has become more complex. The diagnosis has an impact on the management of the pregnancy and has a significant effect on the emotional health of both parents.